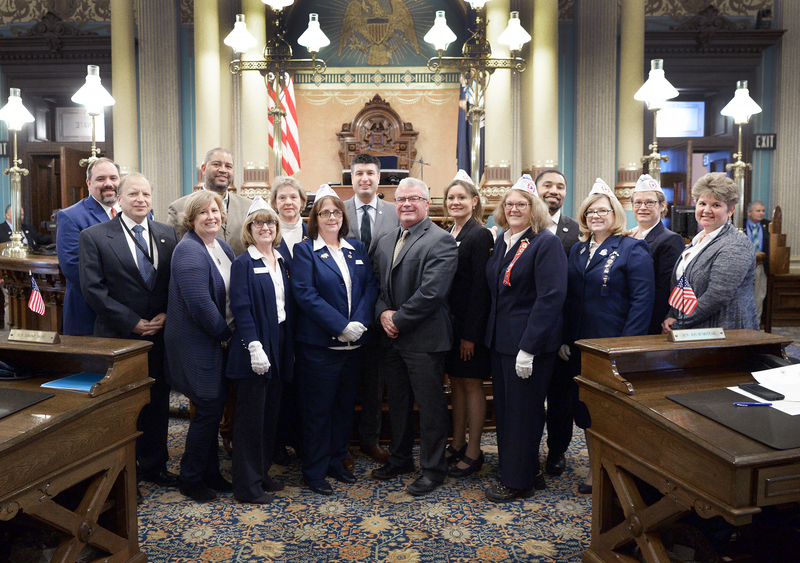 LANSING, Mich. — The Michigan Senate on Tuesday adopted Senate Resolution 9, honoring the Blue Star Mothers of America and the work they do for our nation’s veterans. SR 9, sponsored by Sen. Rick Outman, R-Six Lakes, commemorates Feb. 1, 2019, as Blue Star Mother’s Day in the state of Michigan. The resolution had a host of bipartisan co-sponsors and was formally adopted by the Senate. Photo Caption: Sen. Rick Outman, R-Six Lakes, joins members of the Senate and Blue Star Mothers from around the state for a photo after Senate Resolution 9 was adopted by the Senate.